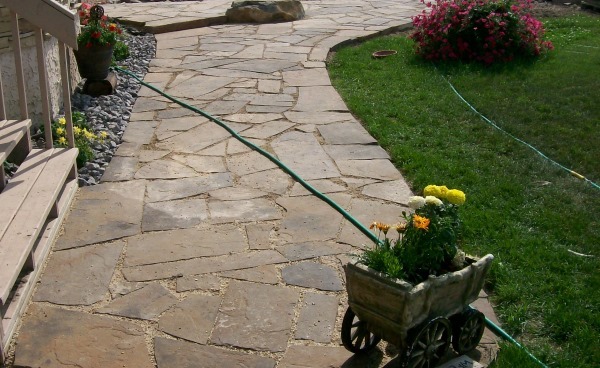 We hope you enjoy walkway ideas 2 picture gallery. We've got stepping stone path pictures, flagstone walkway pictures, paverstone walkway ideas and we'll be adding many more over time. 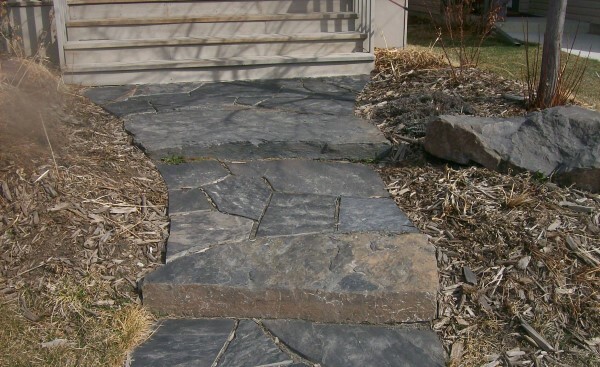 If you are building a flagstone walkway don't forget to visit our how-to modules as we have one for each of those. 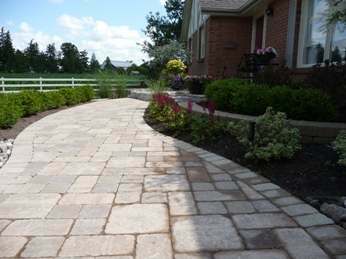 You can click on the link to visit how to build a dry laid flagstone walkway. 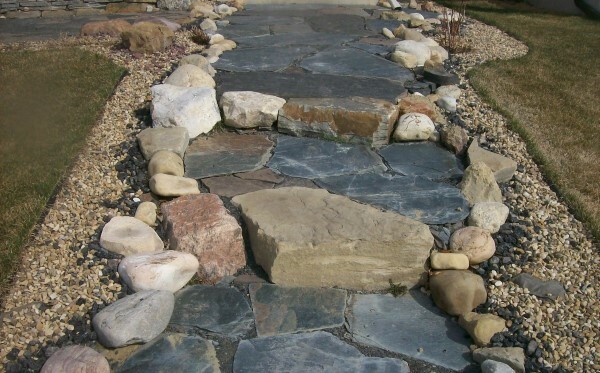 If you are building a stepping stone path, you can click on the link to learn how to build your very own here, stepping stone path. Don't forget you can also join the 200,000 followers we have on Pinterest where we have over 16,000 landscaping idea pictures. The pictures are categorized on over 80 different boards to help you in your search for inspiration. A rustic dry laid flagstone walkway welcomes people to this modern home in the city. 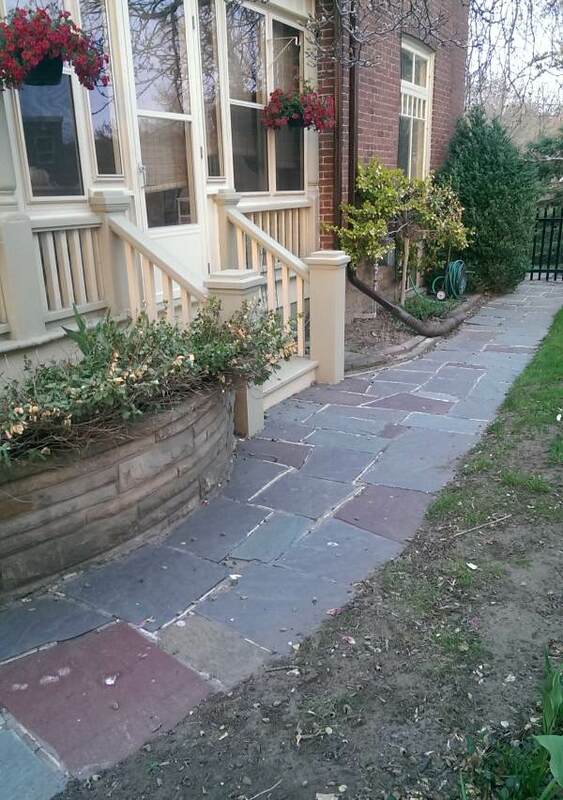 Instead of sloping a walkway, incorporate a few stone slab steps as seen in this picture. 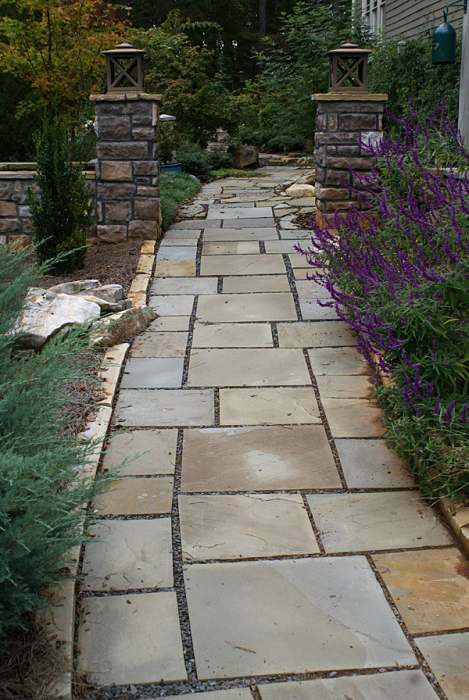 A mixed stone walkway with lots of character welcomes visitors to this home. 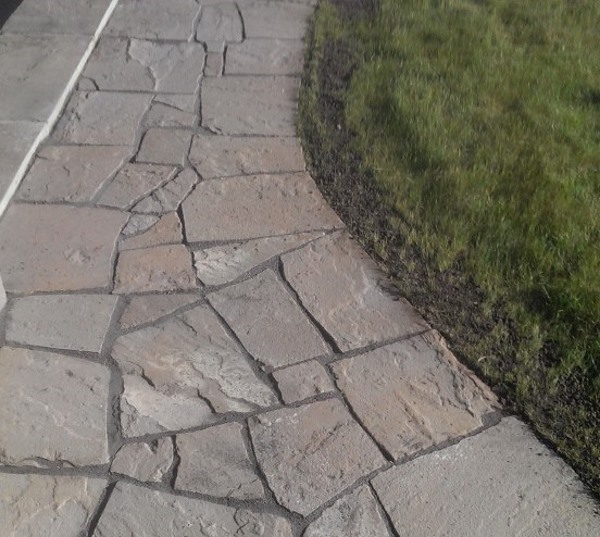 A dry laid flagstone walkway with 1-2 inch gaps wraps around the back of an acreage home. The joints have been filled with polymeric jointing sand. 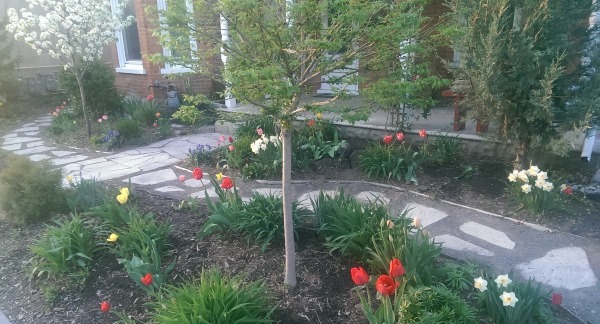 A quant stepping stone path crosses through a cute front garden as it wraps around the front of this century home. 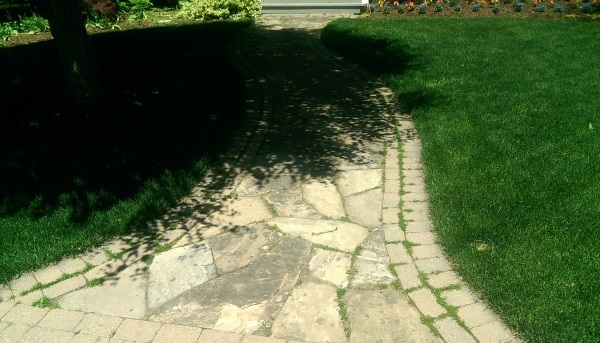 A nice flagstone walkway compliments this older home as it wrap around the side and into the back yard. 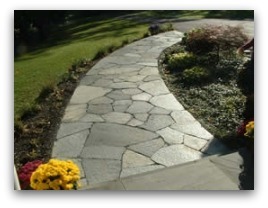 A formal front walkway with some creativity. Notice on the left the way the formal cut stones were built around what appears to be a small outcropping of rocks. The same thing appears on the right through the stone pillars. of the planting gives a nice flow along the walkway. 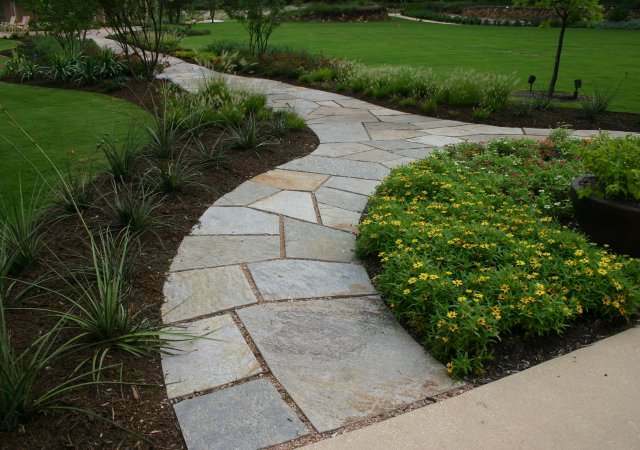 Formal cut stone split arched walkway that wraps around a nice perennial bed. 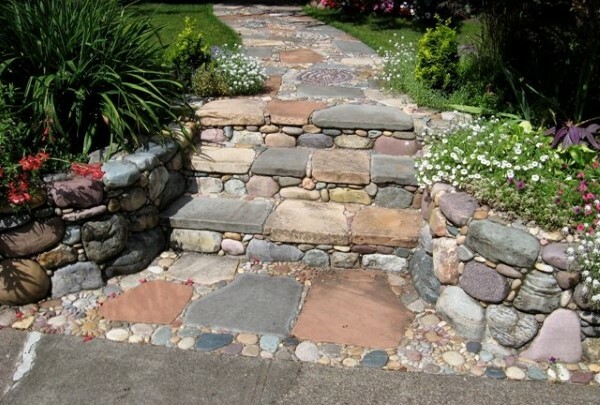 Mixed stone steps with small garden beds on either side lead to up to a beautiful mosaic stone walkway. A simple flagstone walkway lined with mulch and perennials creates some interest in this front yard. This country yard on an acreage looks much more at home with a dry-laid flagstone walkway leading from the driveway to the front door. A short flagstone walkway leads to a small circular landing at the front of this home. 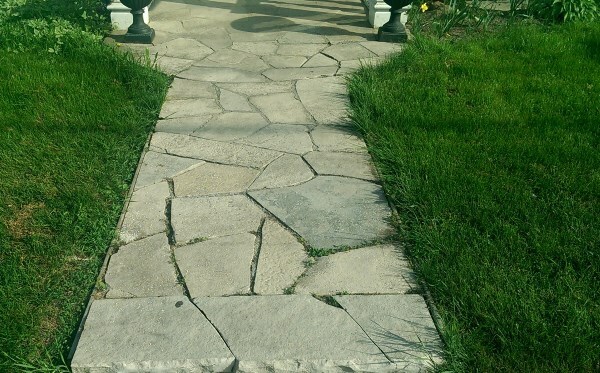 A weathered flagstone front walkway has a creative double brick soldier course to define the edges. 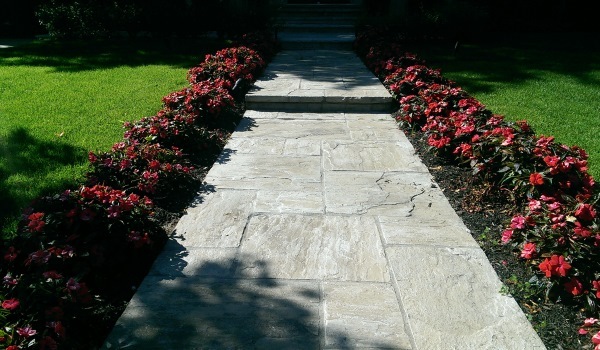 A cut flagstone walkway is a formal way to dress up a front entrance. Spaced plantings provide repetition and a nice rhythm to the walkway.